Quartets: Good for Barbershop; Bad for Empires. The year 69 CE was one of turmoil for the Roman empire. 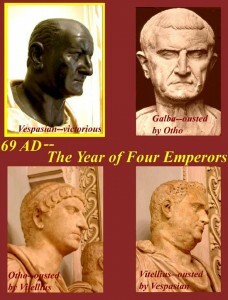 The emperor Nero was deposed the previous year by an elderly senator named Galba. However, instead of giving Rome a chance to heal and recover after the excesses of Nero, more chaos was the order of the day. 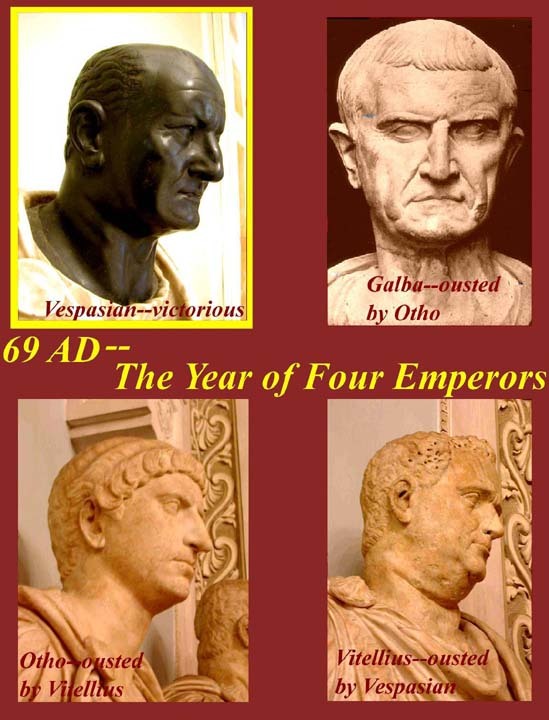 69 CE came to be called the Year of the Four Emperors as a usurper, Vitellius, arose in Gaul to challenge first Galba and then his former lieutenant Otho, who had assassinated Galba for not naming his as successor. No sooner had Vitellius defeated Otho than another usurper arose in the east, Vespasian, who soon defeated Vitellius in turn and brought the empire back under the control of one man. Yet this was still not the most chaotic period in Roman history (more on that in future instalments). It was during this tumultuous year that a man named Mariccus enters the scene. The only source that writes about him is Tacitus, the most reliable historian of the early emperors, but it is only a small paragraph. 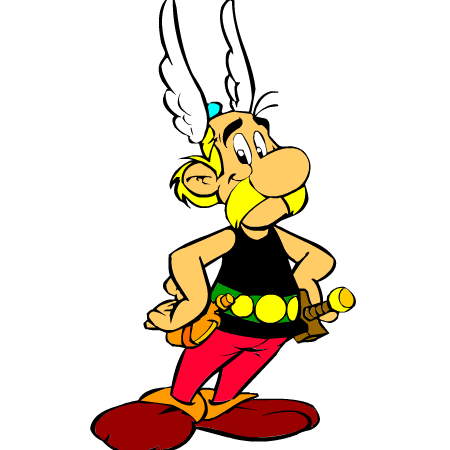 He was a commoner from the Boii tribe which had migrated into Gaul more than a century earlier. Mariccus managed to gather eight thousand men to himself by declaring himself both a liberator of Gaul and a god and set about looting the countryside. Unfortunately for him, it was more a rabble than an army and the tribe he was plundering, the Aedui, was one of the largest and most powerful in Gaul. They swiftly defeated him with the help of a few cohorts sent by Vitellius. 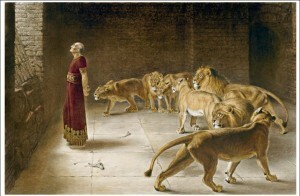 Mariccus was captured and brought to Vitellius in Lugdunum (modern day Lyon) where the rebel was thrown to the wild beasts. But the animals would not touch him, apparently inspiring the people to believe Mariccus invulnerable. Vitellius put an end to that belief by executing him in front of everyone. Mariccus shows just how powerful the pull of one charismatic, and probably insane, person can be during times of instability. Considering how chaotic many campaign world are, it is not hard to picture someone like Mariccus arising and gathering a strong following. How you choose to portray someone like Mariccus can vary a great deal depending on your world and/or preferences. You could bring him in directly from history as a charismatic but crazy leader who inspires his followers despite a complete lack powers. Sheer force of will is all he needs to form his army when there is so much chaos and destruction in their lives. The real Mariccus’ motivations are unclear, for your game he could be either a true liberator, attempting to free his people from oppression or an opportunistic bandit using religious and political spin to justify his looting. Or both, there is a long list of real world rebels with laudable goals and questionable methods. Another possibility is to have his divine powers be legitimate. In quite a few fantasy settings, the gods are real and interfere in the mortal world all the time. Your Mariccus could be the agent of a god, instructed to carry out a mission for his deity whom his followers mistake for the actual god. Or even an avatar of the god, fully possessed and empowered by the divinity. Then it is simply a matter of choosing what sort of divinity is involved as this would change his motivations and tactics. A god of justice would probably mean that Mariccus’ mission of liberation is his true goal whereas a god of destruction would see the damage being done as the aim in and of itself. As always, when there are no depictions of a Gaul they default to Asterix. Finally, there is the option of Mariccus being neither delusional nor divinely inspired. He may be a demon or devil (or some other creature) posing as a divinely inspired commoner in order to spread chaos or topple a good regime. His followers may be true believers for the most part and not evil, simply misled. This would give your players a choice once they find out Mariccus’ true nature. Do they try to expose him to his followers and turn them against him or do they continue killing people who have been manipulated (maybe even magically so) by an evil entity? Mariccus shows how even some of the least known and written about figures from history can have great stories just waiting to be told. The spareness of the details gives you more room to add your own touches to the story.